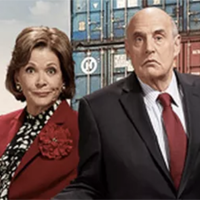 Showing 1 - 15 of 61 articles tagged "Arrested Development"
"The show is so mired in the past that its title no longer induces chuckles but groans," says Travis M.
Arrested Development taps Cobie Smulders and Taran Killam to play a younger Lucille and George Sr.
A new trailer for Arrested Development, which returns for "Part 2" on March 15, features a Netflix joke. Netflix has announced the premiere date for the second half of Season 5. 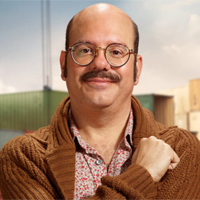 David Cross reflects on the Arrested Development cast's disastrous New York Times: “Hopefully I won’t do that again"
Odell was found unresponsive Friday at his San Fernando Valley home.